Hi. 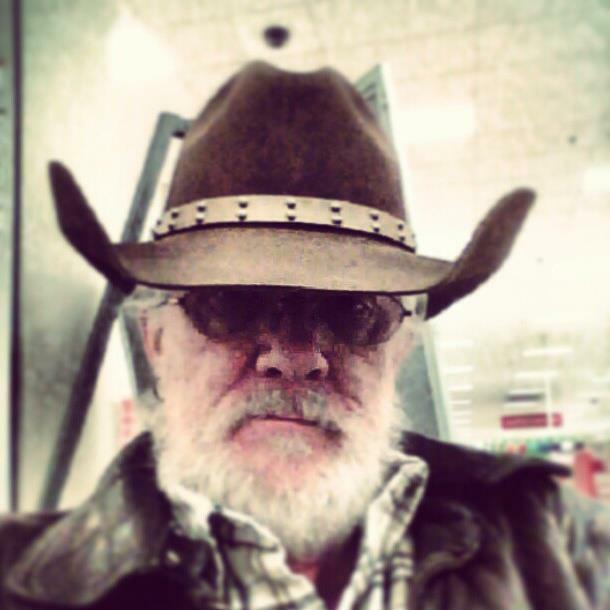 New Instagram shot … shows my “Grizzly Goat Adams” side my wife says … LOL . Ok…not much time to sit and chat this morning. The monthly news, notes, and Top 40 is now 2 days past schedule, and I’m only hoping I’ll get it done sometime today (Sunday March 3). In the meantime I received more new music this past week than I had time to listen to. But I did manage to get a fair amount into the show again this week. Unfortunately, as is sometimes the case, not everything you hear this week will be heard again sometime soon. I’ve already got 342 songs curated for 2013, and I’m not done importing. I have 538 in catalog from 2012. I’ll be doing some weeding this week to be sure. In the meantime … news … Wendy Woo had surgery yesterday. A late night post from her husband Charles Snyder while I was at the Skylark doing sound for Halden Wofford & the Hi*Beams caught my attention… he told me in a follow up “she had to have surgery on her vocal cords to remove polyps. She had to cancel her next twelve shows which she’s really bumbed about, however the surgery went well and she should be back in a couple of months.” Good luck to Wendy. She’s been a staple in our scene for over a decade now, and continues to be a crowd favorite. Bumped into Kerry and Paul from the Informants last night also … could a new EP be in the making??? Birthday wishes this week to: Jazz vocalist Erienne Romaine (22). CJ Nicolai (Reckless Red). Greta Cornet (FoCoMA, Road 34, 3 Twins Broadband, 12 Cents for Marvin, Mama Lenny & the Remedy). Rebecca Folsom (50). Chris Citrus Sautoff (Swallow Hill instructor and all around funk-meister guitarist and sitarist). Pianist Jon Wirtz (33). Bassist Glenn Tapia (44). And Colorado native and songstress Katie Herzig is celebrating… congrats to all our friends and family in the scene celebrating one great year of life among us. I think that’s it … now for our Video Pick of the Week … and the Playlist … the NEWS NOTES & SPINS column should be up tonight … tomorrow morning at the latest, I promise. What a great b-day weekend … well, in the very least it was very interesting … LOL. Thanks to the many hundreds who visited my FB page and wished me a Happy Birthday – and thank you (not) to my Dr. who has completely freaked the old goat out for at least another two months, while more tests are done to determine if I’m suffering from some “hidden” illness. Sheesh .. and people wonder why I never go to doctors unless it’s a really bad situation that absolutely requires it. Anyway… I guess I am starting to show the effects of age, and a oh-so-not-good lifestyle so I guess it’s all good – since I really want to be around another 20 years to do what I most love to do (second only after cuddling my wife, or snuggling with the grand kids). One of the things I’ve tried to do every week is put together a video playlist for your enjoyment. Well, instead of doing that this week, I received a very cool offer from Wendy Woo, whose husband Charles presented us with an exclusive that people will only be able to access here at Colorado Music & Radio for the next five days.